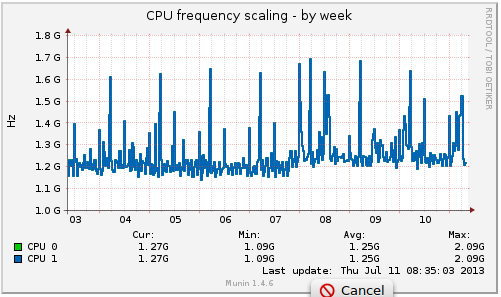 What can cause CPU Vcore to jump up by 20% permanently without corresponding change in CPU load? 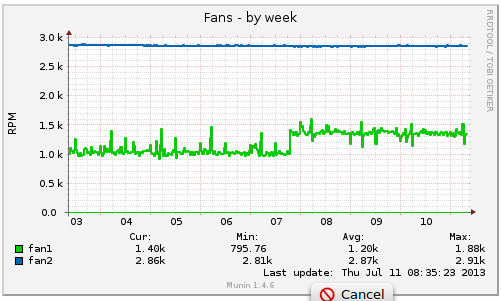 One of my servers shows strange change in its monitored parameters. 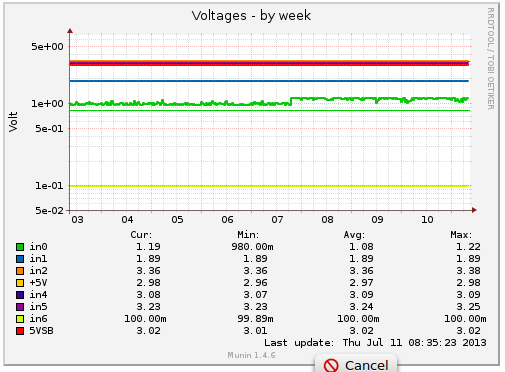 Last Sunday evening one of voltage measures ( in0 which I think is Vcore) suddenly increased by 20% from ~1V to ~1.20V on average. There is corresponding significant increase in reported CPU core temperatures and CPU fan speed but very slight increase in CPU frequency (1.20GHz -> 1.25GHz) and CPU base load. What could this mean? I suspect failing PSU or MB. Is there any other good explanations for such behavior? 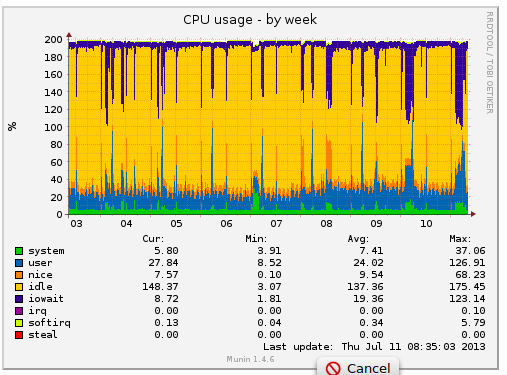 There were no changes of server hardware, BIOS setting or software at this point of time. Server MB is Gigabyte GA-MA69VM-S2 with AMD Athlon(tm) Dual Core Processor 4450e. OS is Ubuntu 12.04.2 LTS with kernel 3.2.0-45-generic. 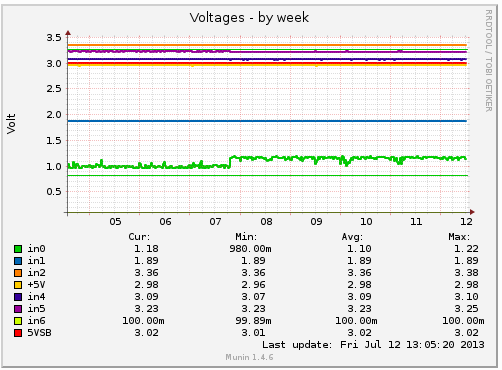 Monitoring is done by lm-sensors 1:3.3.1-2ubuntu1. 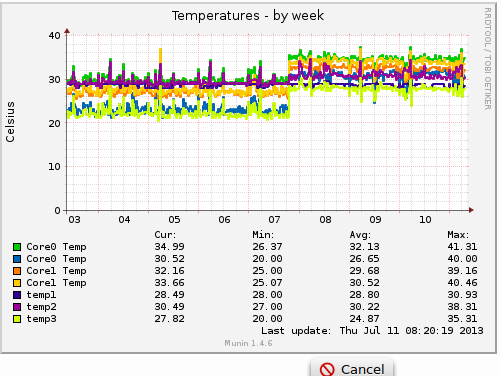 Current output from sensors command is below graphs.